PARIS — Blue Origin will likely launch the third iteration of its New Shepard suborbital launch vehicle by year’s end, paving the way for a human-rated version and ironing out the reusability plan for the orbital New Glenn rocket. The company also revealed a large, 7-meter payload fairing for New Glenn, meant for launching more voluminous payloads than the original design. Clay Mowry, Blue Origin’s vice president of sales, marketing and customer experience, said Sept. 12 that the third New Shepard incorporates lessons learned from the previous model that launched and landed five times before retiring last October. 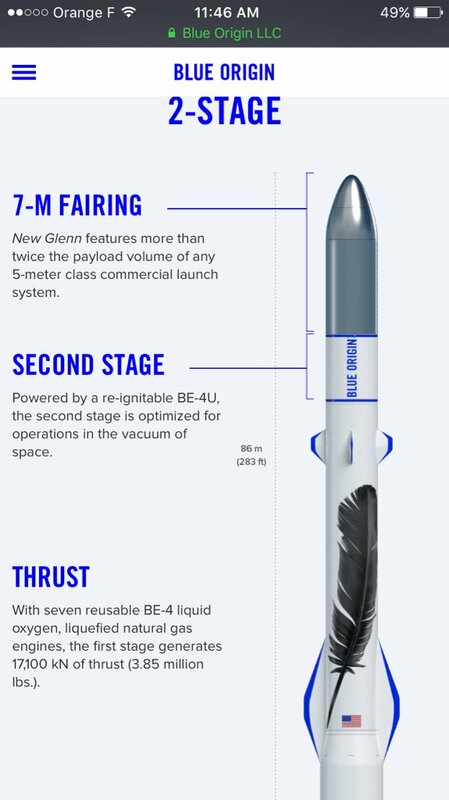 Blue Origin graphic showing New Glenn with a 7-meter payload fairing. Credit: Blue Origin. Mowry said Jeff Bezos, Blue Origin’s founder, has invested $2.5 billion in New Glenn, and that the rocket has no funding from the U.S. government. Blue Origin has been working on New Shepard for over a decade. The first vehicle launched in April 2015, reaching the edge of space but failing to land. While New Shepard’s future is in human spaceflight and suborbital payload research, Mowry framed that vehicle’s progress as beneficial to the satellite industry because of the strides made toward reusability for New Glenn. “For us, New Shepard is really a vehicle we are using to teach ourselves how to launch, how to ramp, how to refurbish the vehicle and to re-fly again, and to do that at a much lower cost than we can do with the orbital vehicle — about a 50th the cost of flying an orbital mission,” he said. 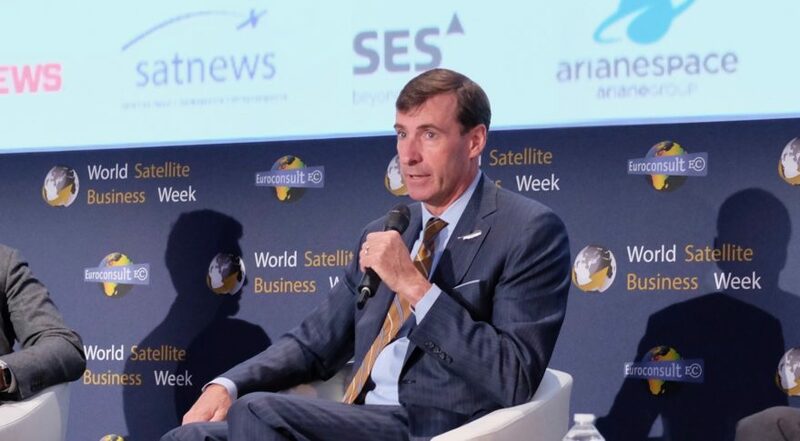 New Glenn customers so far are Eutelsat and OneWeb for one launch and five launches, respectively. The rocket, which can carry 45 metric tons to low-Earth orbit and 13 metric tons to geostationary-transfer orbit, is scheduled to debut in 2020.